FORT WORTH, Texas (Oct. 31, 2017) – For the second time in three weeks, Ohio State senior J.T. 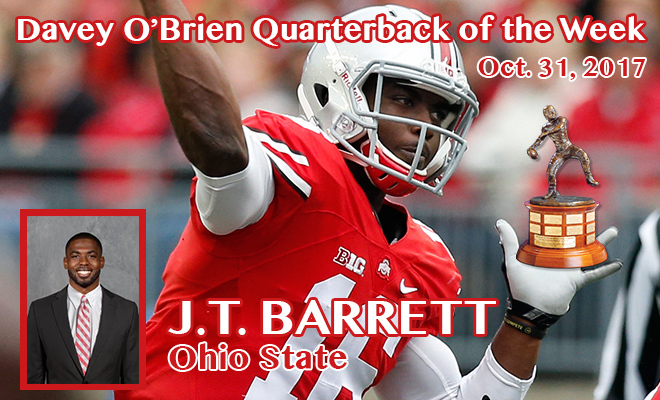 Barrett has been named the Davey O’Brien National Quarterback of the Week. He is the first two-time winner in 2017, and has now claimed the accolade three times in his prolific career. On Saturday, the Buckeyes recorded a stunning 39-38 victory over then-No. 2 Penn State, coming from 15 points down in the final five-plus minutes to claim the win. In the fourth quarter, Barrett was 13-for-13 passing for 170 yards and three touchdowns. For the day, Barrett completed 33-of-39 passes for 328 yards and four touchdowns. He added 95 rushing yards to set an Ohio State record with 423 yards of total offense. He also completed his final 16 passes to break the school standard for consecutive completions. On the year, the native of Wichita Falls, Texas, ranks third nationally in points responsible for (182), touchdown passes (25) and passing efficiency (176.2). He also is among the NCAA top 10 in completion percentage (5th, .695) and total offense (9th, 327.5). In addition, Barrett has thrown just one interception in 246 pass attempts this year. 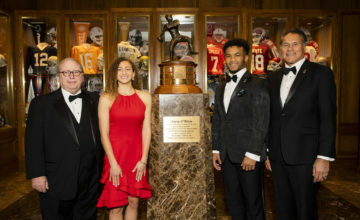 The two-time Davey O’Brien National Quarterback Award semifinalist (2014, 2016) was also named the Big Ten Conference Offensive Player of the Week. This marked the third time this year that Barrett appeared on the Davey O’Brien Great 8 list (Week 4, Week 7). 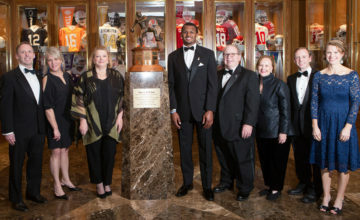 The award has now been won by a Big Ten Conference quarterback each of the past three weeks. Barrett was previously honored on Oct. 18, 2016 and Oct. 17, 2017. 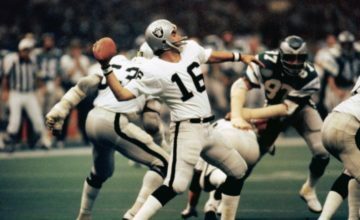 The other “Great 8” quarterbacks in week nine were: Riley Ferguson of Memphis, Idaho’s Matt Linehan, Baker Mayfield of Oklahoma, Colorado’s Steven Montez, Khalil Tate of Arizona, Northwestern’s Clayton Thorson and John Wolford of Wake Forest.